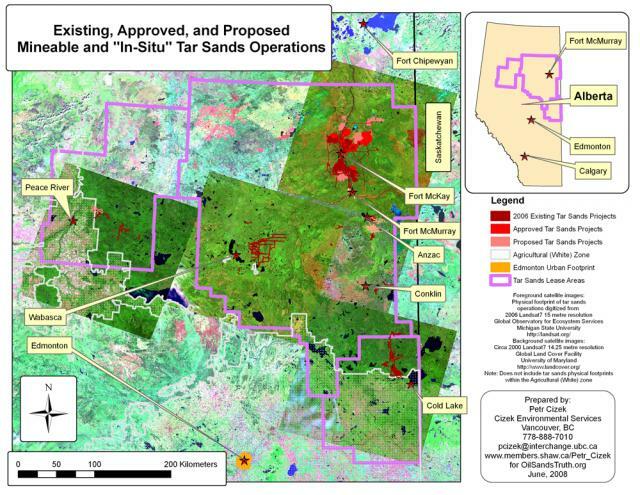 This map shows all of the existing mines and In-Situ operations currently in operation or planned throughout all the various tar sands regions within Alberta. click here to return to Tar Sands Development Maps front page. For the front page of the site, click on the Oil Sands Truth Banner at the top of all website pages.